Trigger: L can not be duplicated, H can be repeated, the default value of H. level output: 3.3V high, low 0V. 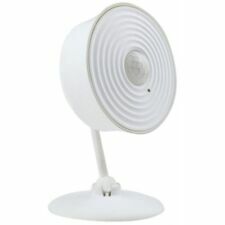 Sensing range: less than 120 degrees cone angle less than 7 m.
Type: PIR Switch. 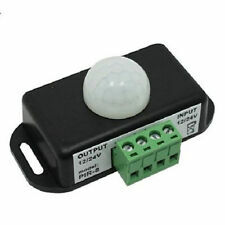 1 x PIR motion sensor switch. Output current: 8A. You can conveniently to let the light auto on/off. Output power: 12V: <96W, 24V: <192 W. Adjust the light soft and stable, no flickering. 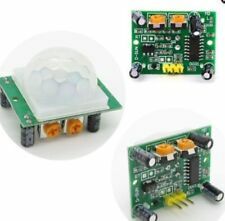 When the switch is turned to "ON" or "OFF", it can be used as an ordinary switch, and when it is turned to "PIR", it can be used as an infrared sensor switch. On/Off and PIR operation settings. Convenient and easy to use. 1 x Water Leak Detector. Type: Water detector. Size: about 96 48 22（mm）. USA, Canada, United Kingdom, Austrilia, France, Germany, Spain, Ireland, Italy, Others. Canada, United Kingdom, Austrilia, France, Germany, Spain, Ireland, Italy, Others. RCWL-0516 Microwave Radar Sensor Switch Module Human Induction Detector. Trigger Way:repeat trigger. Product Introduction Internal VCC parallel connect with internal 1M ohm resistor to CDS pin (that is 196 9-pin) by R-CDS ,CDS connects with photoresistor,you can close detection function at night. 1 x Water Leak Detector. Type: Water detector. Size: about 96 48 22（mm）. Canada, United Kingdom, Austrilia, France, Germany, Spain, Ireland, Italy, Others. Transmint Frequency: 433MHz(can be customized). Alarm Output: wireless output. 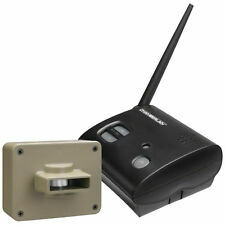 1x Wireless Motion Sensor. Alarm Current: less than 15mA. Standy Current: less than 8uA. Temperature: 10℃ to 60℃ (approx 50℉ ~ 140℉). Infrared detection, on-site alarm. 1 x Sensor Alarm. 1 x Alarm Instruction. Without any external connection, compact and portable design can be placed anywhere. Small size, can carry, temporary fortification. This product is a new type of energy-saving lighting switch, it adopts high sensitivity detector, integrate circuit and SMT, safe and practical. Output: Maximum 1000W incandescent lamp, 100W fluorescent lamp ,Exhaust fan 100W, Motor 100W, Electric bell 100W. Load power: 80W. Output current: 5A. Induction angle: 140 ° cone angle. Temperature compensation: temperature compensation chip, reducing the impact sensing distance by the temperature. Output mode: sensor output. Adopts good sensitivity detector, integrated circuit. 1 x Infrared Motion Sensor Holder. ModelInfrared Motion Sensor Holder. Power Source: 110-240V/AC. Power Frequency: 50/60Hz. Ambient Light: 3-2000LUX (adjustable). ◆The detector will automatically increase the sensitivity when encountering dense fog or bad weather (AGC circuit). ◆Alarm linkage: Yes. We will try our best to reduce the risk of the custom duties. Detail Image. Adoptshigh sensitivity detector,integrate circuit and SMT. It gathers. Detection motion speed:0.6-1.5m/s. Detection angle: 180°. Rated load: 300-1200W. This product is a new type of energy-saving lighting switch,it. 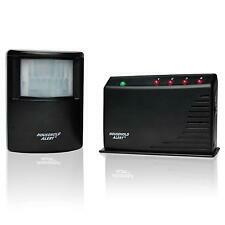 With infrared motion sensor, it can automatically detect the existence of people which is good for energy saving. Average Load: Max.800W(~110V AC)/Max.1200W(~220V AC). Detection Range: 120 degree(side-view)/360 degree(top-view). This switch is based on infrared technology, it will automatic turn on when the sensor detects the change of the infrared spectrum of the human body in the sensing range. Friendly and convenient, safe and energy-saving. 1 Sensor Detector Alarm System. Unique acoustic micropNhone chamber and casing design. Current Drain(standby): 5mA. Manual sensitity settings to avoid false alarm. Full audio spectrum 7 frequency signal and impact analysis including infra-sound pressure analysis. Frequency: 433MHz. This wireless water leak detector can avoid serious economic loss. DIY, use for detecting water leakage. Widely for bathroom and any place needs to protect water leakage. 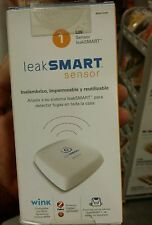 1 X Water Lleak Detector. 1 x AC 220VMicrowave Radar Sensor Switch. Color: White. Output Power: 400W(Max.inductive laod) 800W(Max.resistive load. Easy to install and simple to use. 2 x Screws. 1 xEnglish User Manual. ).